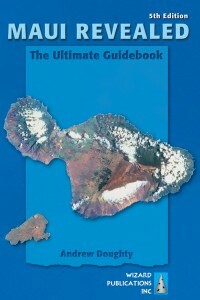 Where Is It: Haleakala is on the island of Maui in Hawaii. It’s a five-and-a-half hour plane ride from Los Angeles (2,494 miles), but oh, is it worth it. The Birth: The word Haleakala is Hawaiian for “house of the sun.” A Hawaiian legend stated that Maui, a demigod, imprisoned the sun in the volcano to lengthen the day. 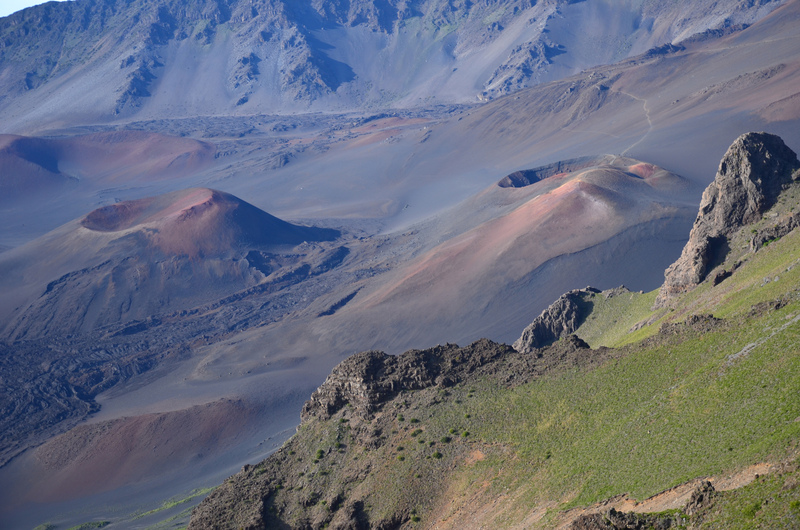 The Haleakala volcano last erupted sometime between 1480 and 1600 AD. An area including the volcano’s summit down to the southern shore of the Pacific, as well as two volcanoes on the island of Hawaii, was originally created as the Hawaii National Park in 1916. The volcanoes on the island of Hawaii were made into a separate National Park in 1961. It Happened Here: Bicycling down from the Haleakala summit is a unique way to see the island of Maui. Tour operators used to pick people up at their hotels, deliver them to the summit parking lot in the National Park, and then lead them down the 27-mile, 10,000′ slope to the ocean. After many fatal accidents involving cyclists on the twisting mountain road, in 2007 the Park suspended all bicycle tours within the park boundaries … so now tour operators have to start outside the Park, at 6,500′. Watch out for them as you drive up! # Visitors: 1,094,668 in 2012 – just about half of the visitors attracted in 1999. Visitation is relatively steady month-to-month, but July and August are typically the biggest months, with February and March the smallest. 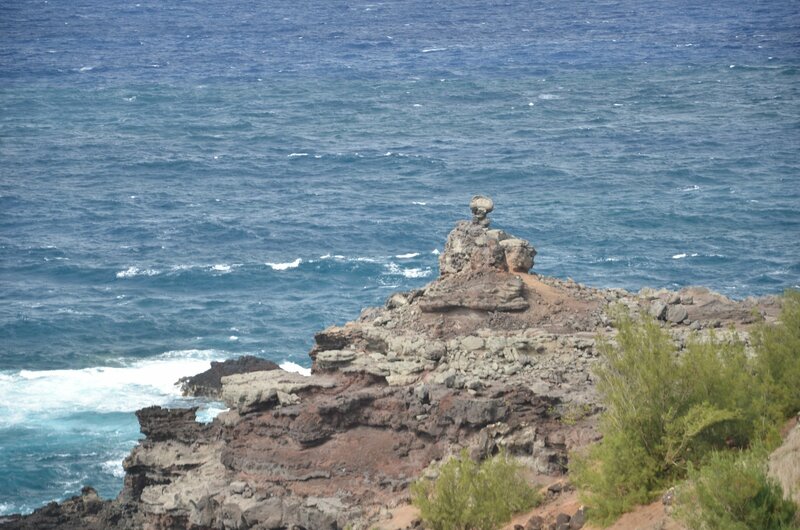 Interestingly, only one in six visitors to Maui also visit the National Park. Most people are making a big mistake! 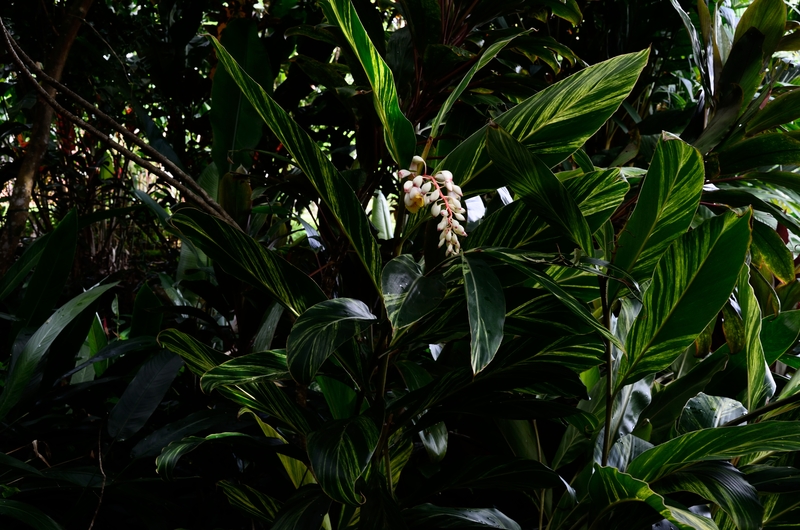 Plants: Once plants and animals were brought to the Hawaiian island (the most remote island chain on earth), each species had to develop special adaptations in order to survive in their new climate. 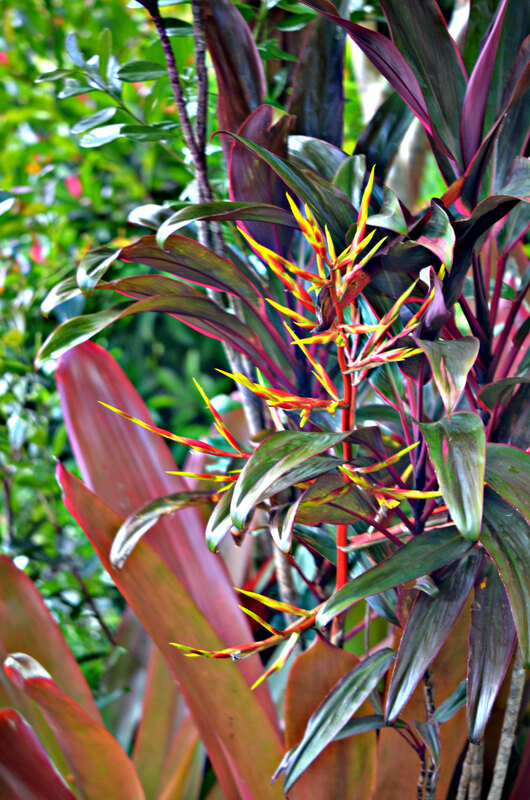 As a result, many species are unique to the islands, and rare. 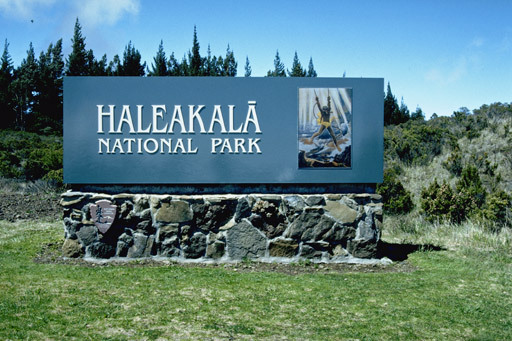 More endangered species live in Haleakala National Park than in any other National Park in the United States. 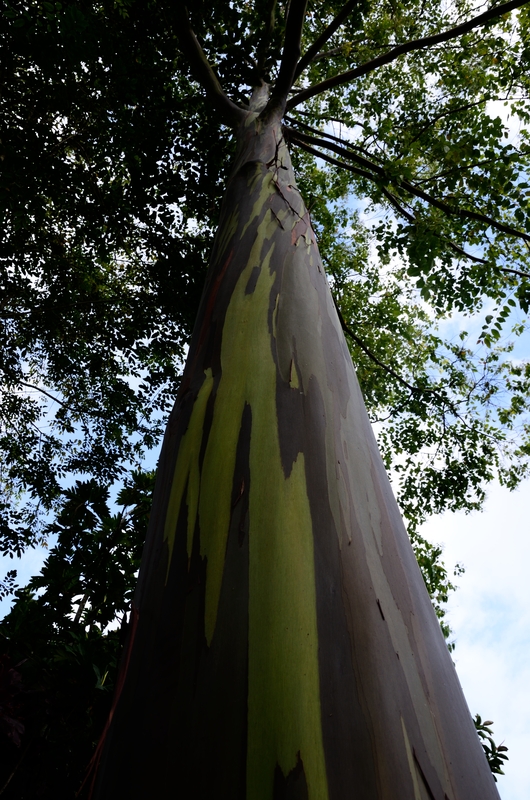 As people have come to Maui and the National Park, some of these species have suffered. 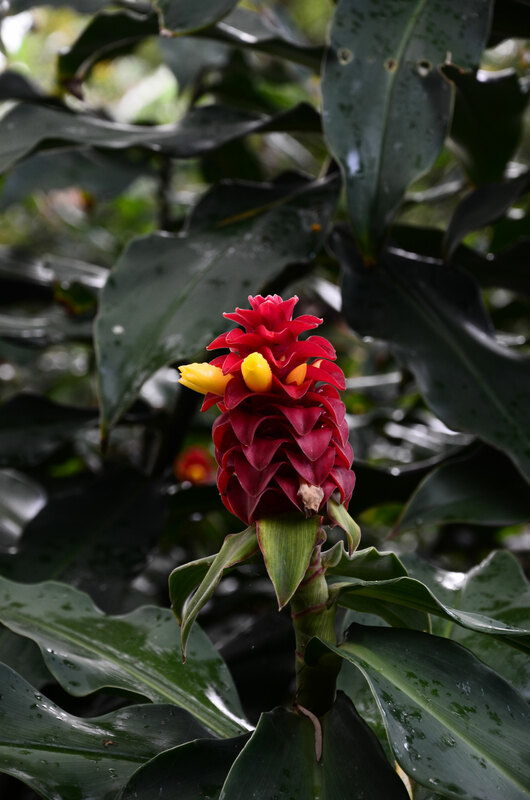 It is said that the silverswords, known to native Hawaiians as ahinahina, used to cover the summit of Haleakala Mountain to a degree that the mountain looked as if it were covered with snow. Animals: The Hawaiian Petrel, AKA ‘Ua’u, is an endangered species with a large nesting colony atop the Haleakala summit. They are migratory seabirds that fly at night and are believed to navigate by stars. The state bird of Hawaii, the endangered Hawaian Goose, AKA nene, also nests at Haleakala. Choices: The summit of the volcano is a totally different experience than the lush tropical forest at the shoreline. 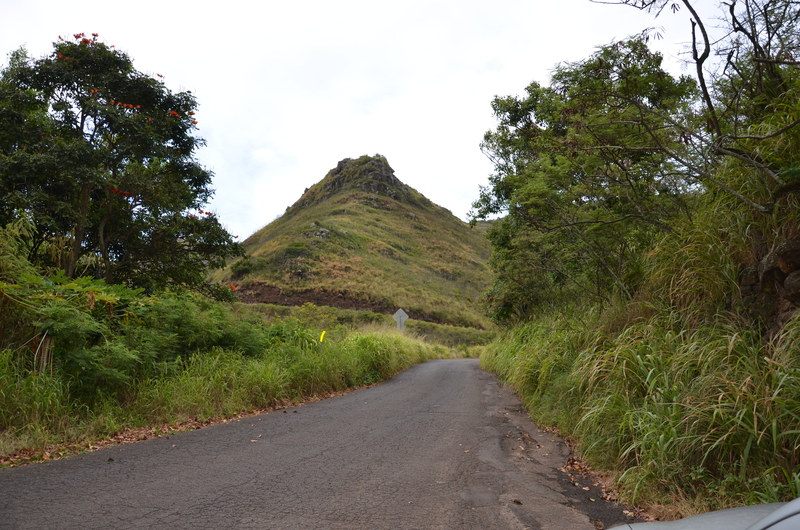 You’ll need to spend two different days to appreciate the top and bottom of the park: to drive from the summit to the Kipahulu station takes about 6 hours round trip. Fees: The park is open daily; a 7-day pass is $10. Hold on to your pass; you’ll need to visit the shore and the summit on different days. Staying There: There are no hotels in the Park. There are three primitive wilderness cabins available through a lottery for rental. 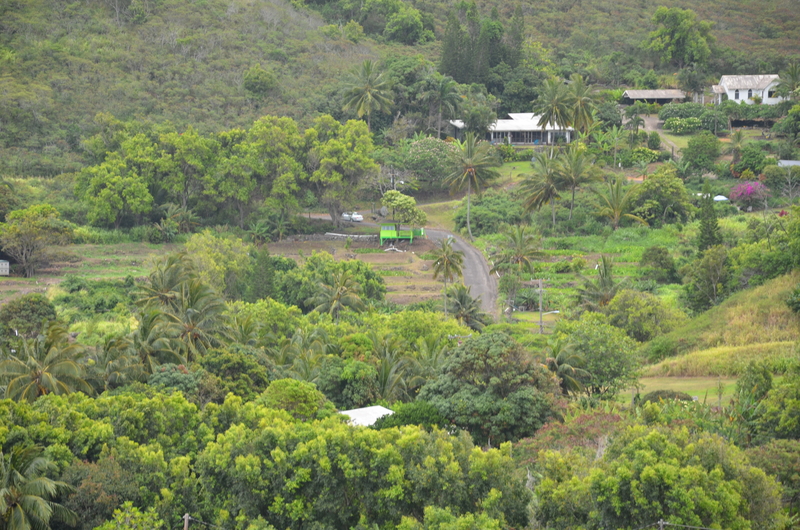 To reach the cabins, you must hike at least four miles (Holua) or more (six to Kapalaoa and ten to Paliku). Wilderness camping is also available by permit only, and group sizes are strictly limited. 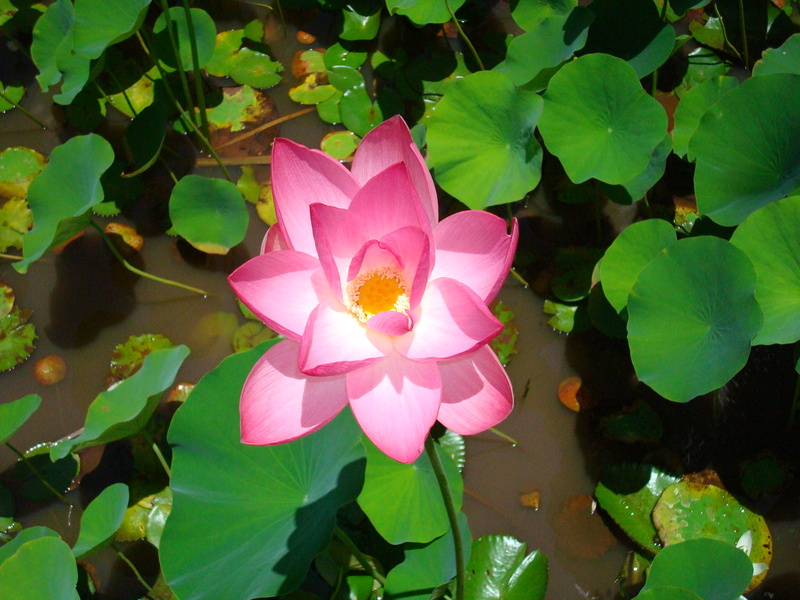 Water may not be available in the crater, and won’t be potable without filtration. Current Issues: Many native Hawaiians fought the expansion of the observatory complex on the summit of Haleakala, but to no avail. Construction has now begun on a massive, $300 million telescope atop the summit which should be completed by 2020. Construction of the Advanced Technology Solar Telescope began late in 2012 after several years of delays caused by the controversy. Don’t Miss This: You need to watch the sun come up over the crater, which I photographed in 2010. The link for The Haleakala Adventure is below. The views for sunset are just as spectacular. It is said that if you see your shadow on the clouds during a sunset, then you will have wonderful luck. Silversword. Photo from the Haleakala National Park Facebook page. Silversword. Photo from the Haleakala National Park website..
Photo from the Haleakala National Park Facebook page. Nene on the road. Obey the speed limits and keep these endangered birds safe! Photo from the Haleakala National Park Facebook page. You understood the cabins were rustic, right? Photo from the Haleakala National Park Facebook page. The Pueo or Hawaiian short-eared owl is the only owl endemic to the Hawaiian Islands and is considered an ʻaumākua or guardian spirit in the Hawaiian culture. The Pueo inhabit the forests and grasslands throughout the islands and are diurnal, meaning they are active during the day. Pueo are susceptible to the same threats as the other native birds such as habitat degradation or loss, disease, and predation from mammals such as mongoose as the owl’s nests are found on the ground leaving eggs and young birds vulnerable. When visiting the summit district of Haleakalā, keep an eye out for one of these beautiful birds as you drive through the cattle ranch outside of the park to the park entrance station as they may be silently gliding through the air hunting a mouse, insects, or other birds for its next meal. From the Haleakala National Park Facebook page. Waimoku Falls. Photo from the Haleakala National Park Facebook page. The “Seven Sacred Pools” (they aren’t sacred, and there aren’t seven), formed by the Palikea Stream. 2011. The ocean here is treacherous and shark-infested. The Na’Aina Kai Botanical Garden is what I wanted to see: exotic plants, manicured gardens, statuary and lovely vistas around every corner. When we first went to Hawaii, I didn’t really know what to expect. I mean, I had seen Hawaii Five-O (and played that wonderful theme song, like every high school band in the ’70s). I’d even seen surfing contests on ABC’s Wide World of Sports, back when that was the only Saturday afternoon escape available for a nascent sports junkie. But what was Hawaii really like? I mean, a tropical paradise? 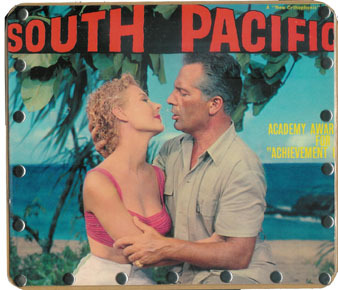 That’s what I saw when I watched South Pacific (and in spite of a spirited discussion we had one night with the family, that is a GREAT musical … but a dated & lousy film at this point!). This is what I think a wonderful botanical garden should be. It’s probably too big: we did a guided tour that was about 2 hours long, and I don’t think we saw 30%, and I know we didn’t enjoy fully most of what we did see. This garden has it all: it’s got a huge variety of plants. It’s got waterfalls. It’s got statuary. It’s a working hardwood plantation. It’s pretty. Gorgeous, really. I recommend it without reservation — which you will need when you visit. 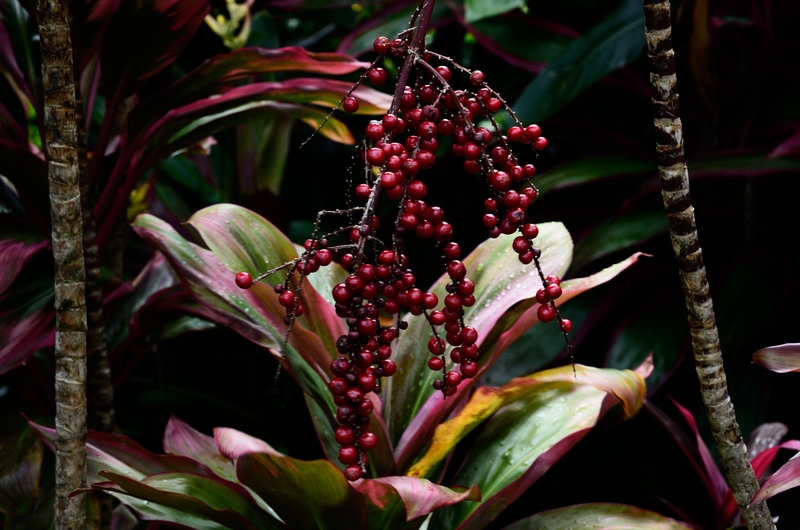 The Hawaii Tropical Botanical Garden has a dizzying array of exotics, such as these Rose Grapes from the Philippines. 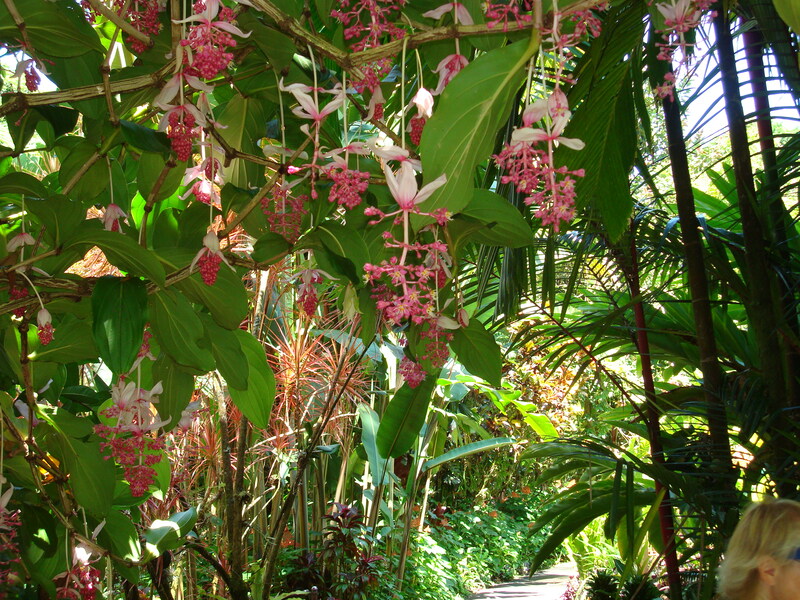 This garden is truly a tropical paradise. 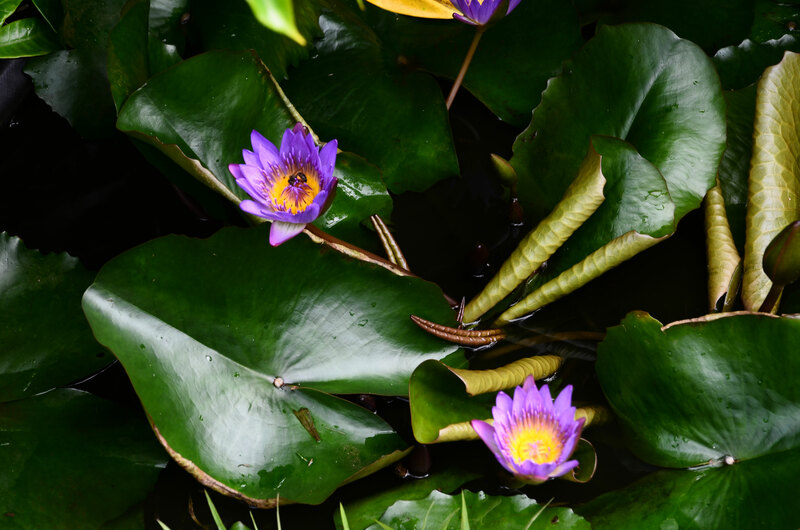 You follow a creek through a meandering path with little grottoes liberally sprinkled around the path with exotic flowers and plants everywhere you look. The path goes all the way to the ocean. The views are gorgeous. Do not miss this garden. 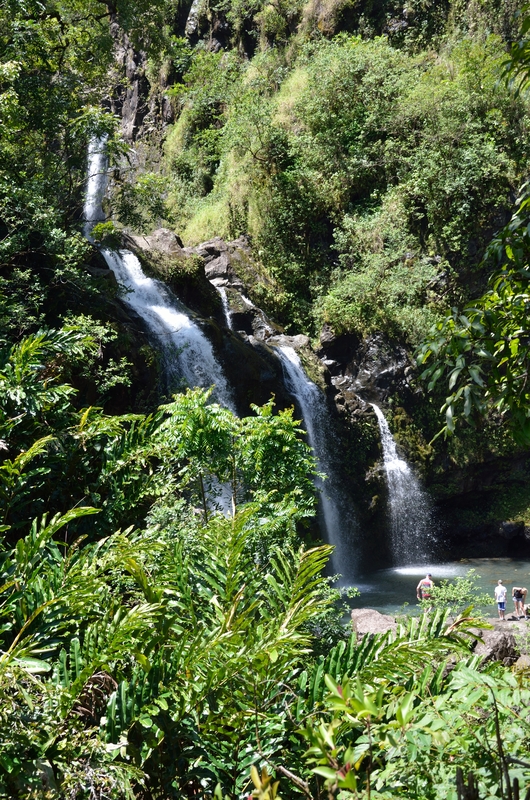 Worth the price of admission, but not an essential part of going on the Road to Hana. 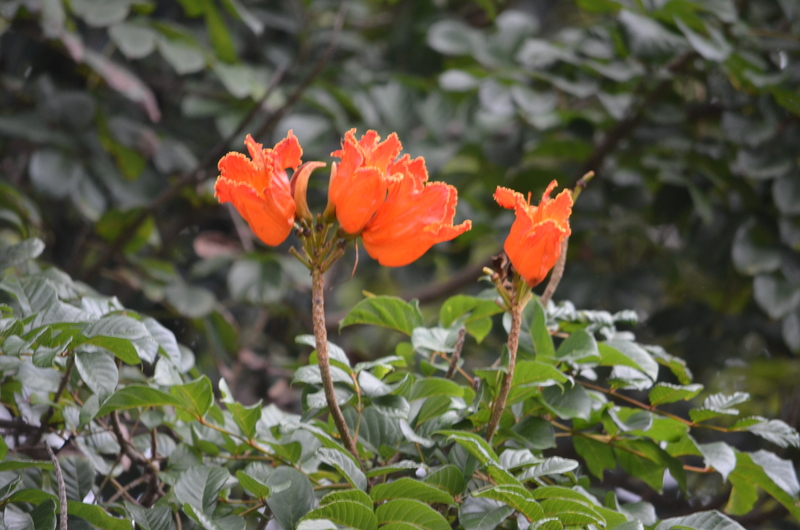 Pretty plants, wonderful paths to wander around. See some pictures, below. This 3-tier waterfall is unusual for 2 reasons: it’s a 3-tier waterfall, and it can only be seen after you pay the admission to enter the World Botanical Garden. 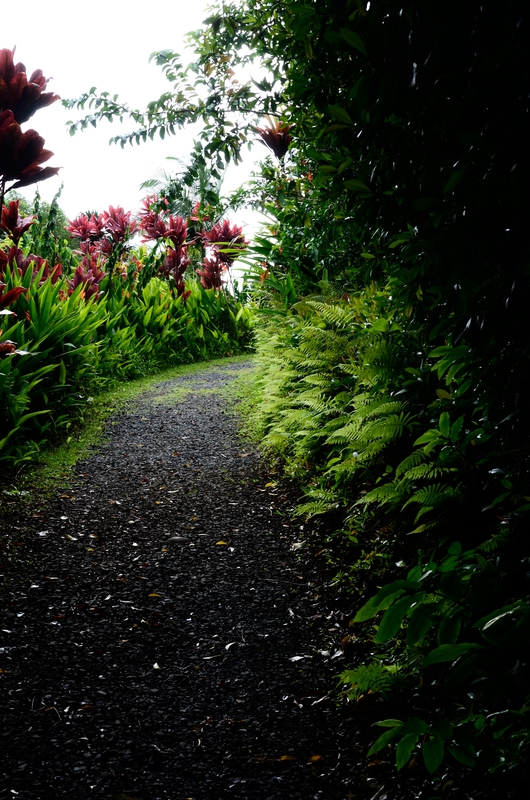 I wrote about this garden previously, in 30: Hawaii. As I said there, this is the least appealing garden we have visited. Not all bad, but probably not worth the price of admission. We visited the office on the South Shore without knowing what we were walking into, and decided that we didn’t have the time to spend on what seemed like an expensive guided tour. We passed, and haven’t found time to go back. I’m sure we will … but for now, I’ll simply state that their tours seemed expensive and their marketing hasn’t been persuasive. We did spend an hour or so in their free access public area around the office, and that was, uh, worth what we paid for it. The paths through the Garden of Eden are cinder-lined, which means they are not treacherous when wet; it does rain frequently here! 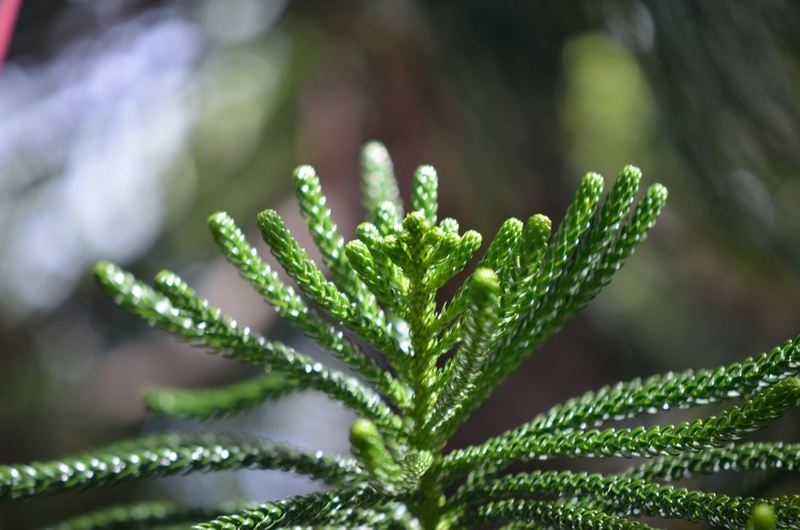 Norfolk Island Pine trees were planted by sailing ship captains who prized them for their long, straight trunks, and needed a ready supply of replacement masts when they stopped at the Sandwich Islands, as Hawaii was known in the 19th century. This is no simple road trip. 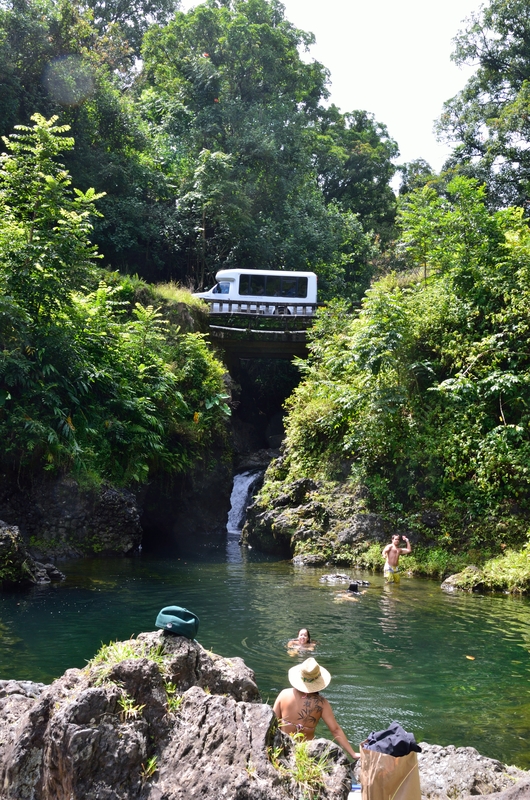 But if you are fortunate enough to visit Maui, you need to go on the road to Hana. 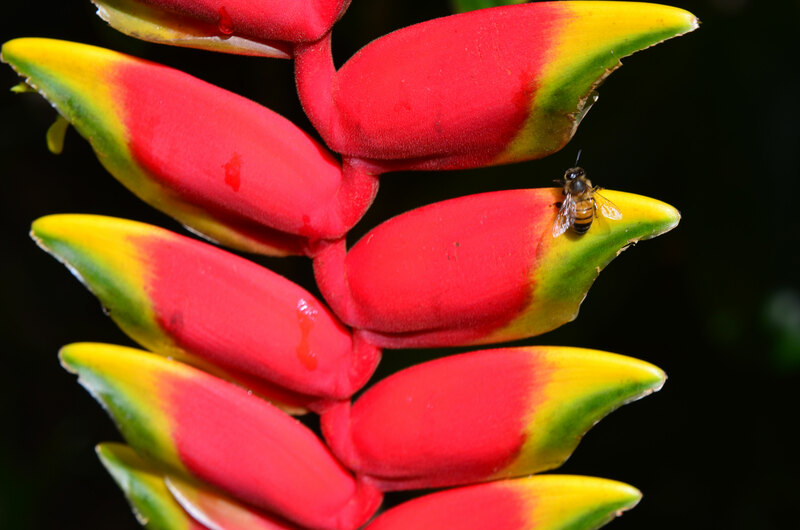 A tropical paradise is all around you! This trip is not about the destination: it’s about the journey. We’ve been to Hana, and found there really was no there there. 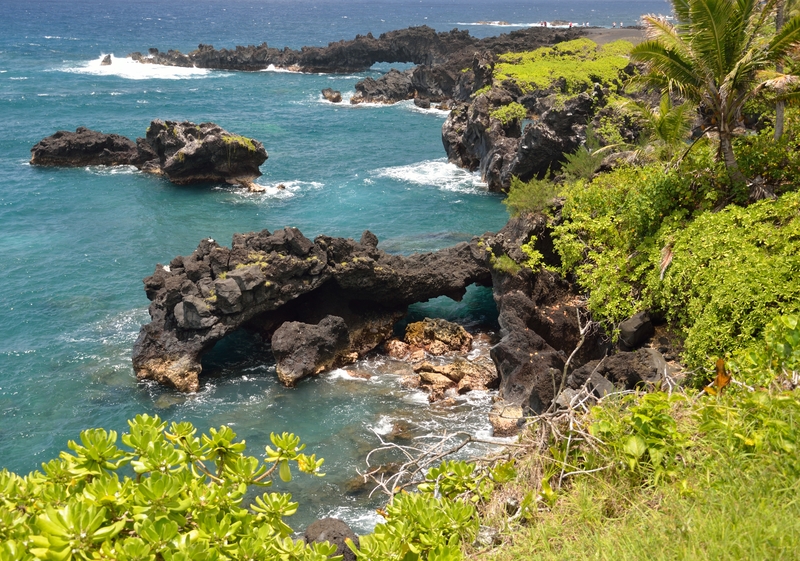 This isn’t about going to Hana … it’s about how beautiful it is to get to Hana. You are not on a schedule. People want to pass you? Let them. More open road for you. It’s prettier that way. 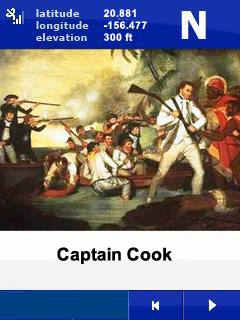 Gypsy Guide mixed historical trivia with scenic outlook tips and directions. A great tool that we found for our trip was Gypsy Guide, which provides a purpose-built GPS system that will direct you to the wonderful sights along the road — it even shows you pictures of famous Hawaiians and explains their roles in history during your journey. Just the thing so I didn’t have to talk to Velda on the road; well worth the nominal cost. JOKE. Joking. I love talking to Velda. Talk talk talk, that’s me in the car. The Garden of Eden, currently $10 per person, is a nice diversion. Picked the unit up in Lahaina at 6:30am; it was a great addition to the trip. $39 for the day: very cheap for a guided tour. But back to the road. 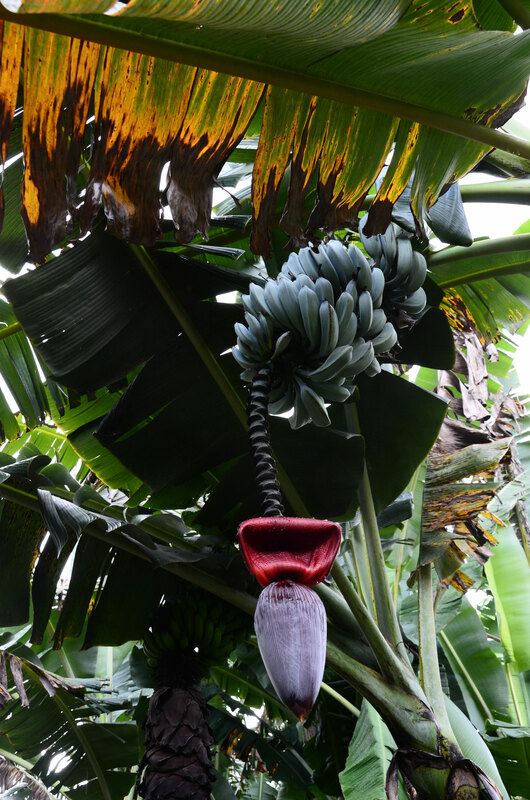 We got a recommendation to get on the road early, so we were through Kahului by 8am, and began our day with an early visit to the Garden of Eden Arboretum & Botanical Garden. You’ve got to admit: it’s a pretty grand name. It’s definitely a good side trip: it was a couple of hours in an interesting garden, but not essential. Spend your time as you choose (remember, it’s about the journey). We chose to stop at every waterfall. 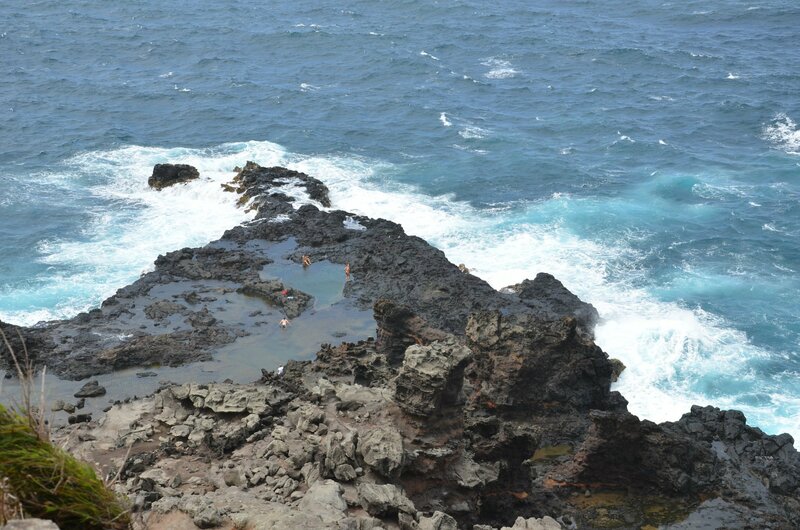 Particularly noteworthy were 3 Bears Falls and Wai’anapanapa State Park and its black sand beach. Don’t miss those! 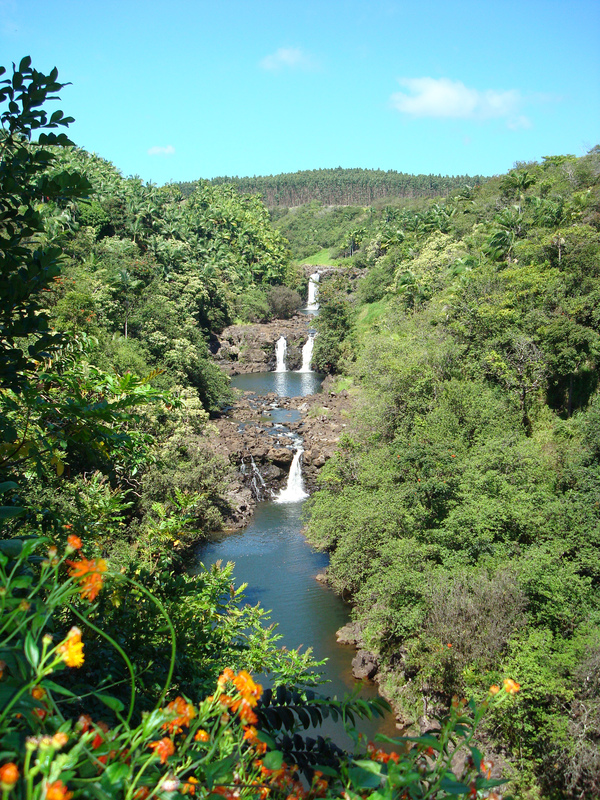 Once you get past Hana, you can continue to the Seven Sacred Pools, which are a part of Haleakala National Park if you want to see it all … or wander back and see what you missed while you were driving east. So, the day is yours. Wander from waterfall to waterfall (see the pictures below), fruit stand to fruit stand (we found Longans, AKA Dragon’s Eye Fruit, for the first time on this trip, and that is no small thing! ), Kodak Photo Spot to Kodak Photo Spot (remember those?). Remember: it’s about the journey. It’s a short walk down the path to Ching’s Pond, where we saw some locals “cliff diving” from road level down into the pool about 25′ below. Not for the faint of heart! Note the guided tour bus … just driving by. Not the way I would choose to see the sights! 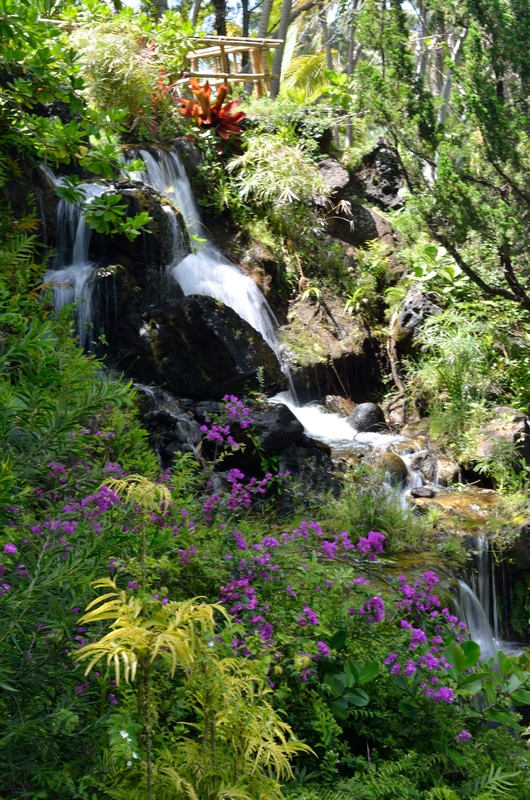 3 Bears Falls, AKA Upper Waikani Falls, is a gorgeous 3-part waterfall in a spendor of ferns and tropical jungle. This picture was simply taken from the road’s shoulder! 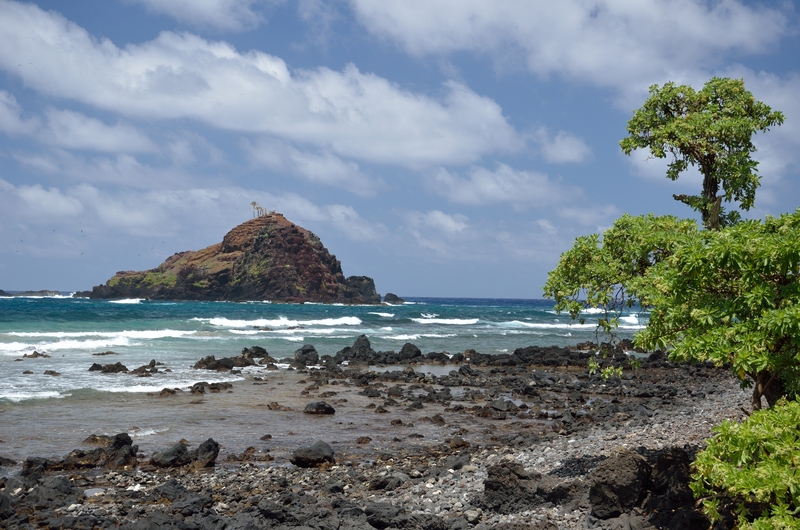 This spectacular shot is my favorite shoreline picture I’ve taken in Hawaii … and I’ve practiced extensively on 4 islands! 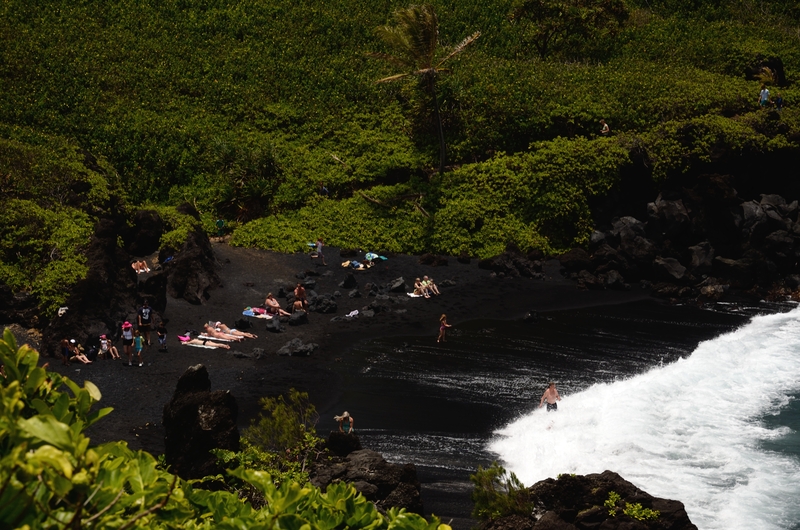 Wai’anapanapa is the only black sand beach on Maui. Koki Beach has signage warning of the dangerous offshore currents. Not much danger when you take pictures from terra firma, though! The crater of Haleakala — you can go camping there if you like. The cinder cone on the left is called Kamoali’i; on the right is Ka Lu’u o Ka ‘O’o (Plunge of the digging stick). 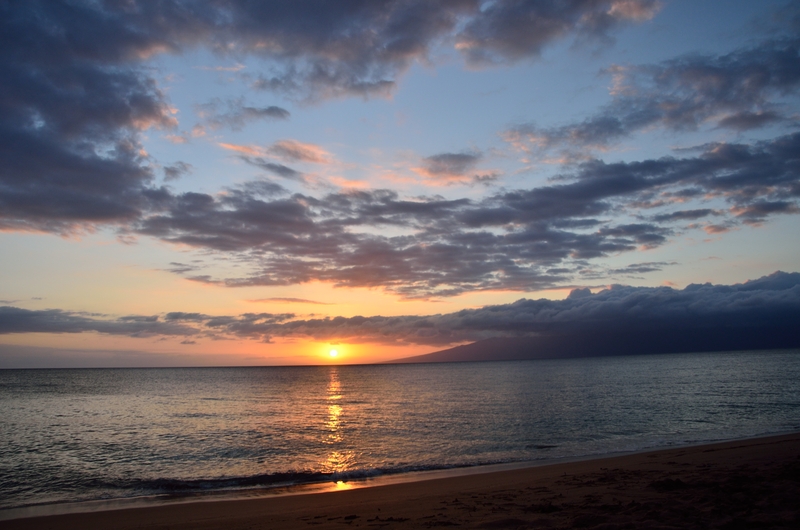 In yesterday’s post, I talked about things you must do when visiting Maui. 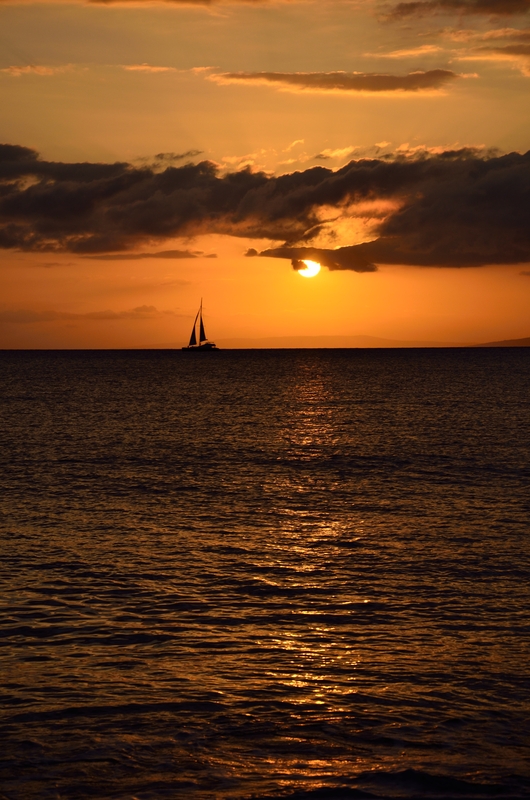 Implicit in any itinerary is the search for the Perfect Sunset. 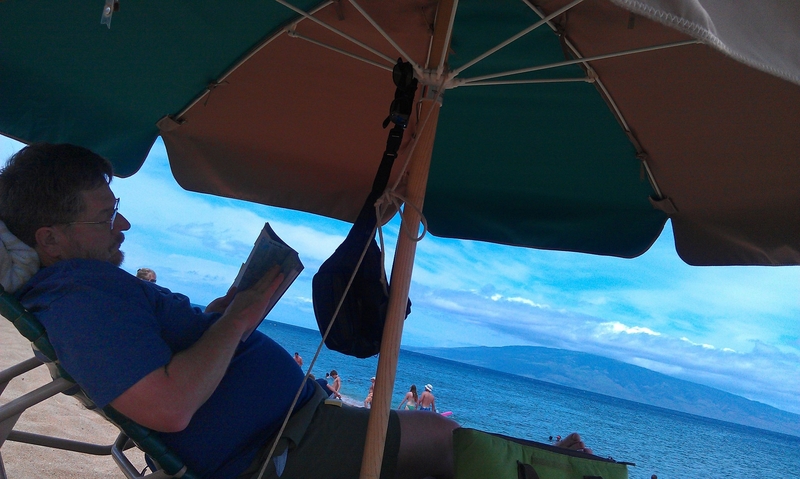 OK, not the perfect sunset, but definitely my best afternoon, under the umbrella reading on Ka’anapali Beach. 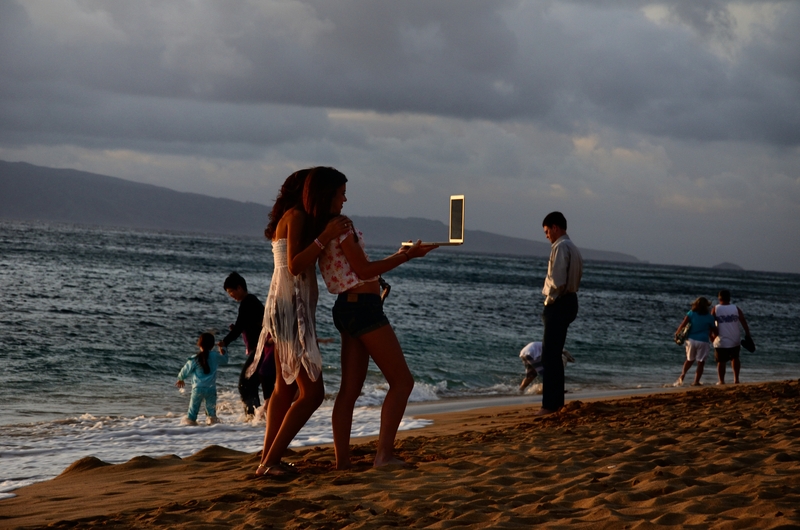 These young ladies were having a lot more fun than I sharing the sunset … immediately! The wonders of WiFi on the beach, creating instant jealousy among the friends back home. Perhaps not the Perfect Sunset, but I’ll take it any day. Ka’anapali Beach, Maui.